I don’t know about you but when I was growing up I thought beets were disgusting. I couldn’t imagine why anyone would eat such a thing. It’s amazing how our palates change when we grow up and realize things we once avoided like the plague are now a special treat. 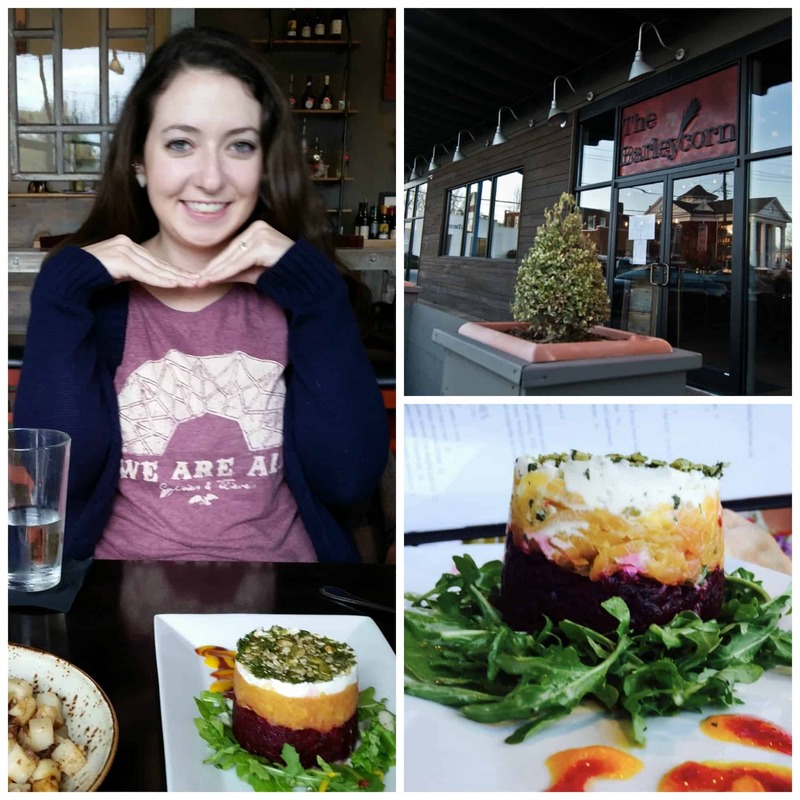 My love affair with beets began when my oldest daughter and I met in Asheville, North Carolina for our yearly Mother/Daughter retreat. She was going to college in Chicago so sometimes she would fly somewhere I could drive to and I would pick her up. Then we would spend the weekend at a nearby Air B & B and explore the surrounding area. My daughter and I always like trying new places to eat and we love to split meals so we can try more things. Well, we found this quaint little place in West Asheville called the Barleycorn. Sadly, they are no longer in business otherwise I would include a link. Whenever I saw anything with beets on the menu I ordered it. Unfortunately I never really knew how to make them for myself at home. I know, that is sad isn’t it. So the only time I had them was when I went out to eat and could find them on a menu or if someone else made them. My daughter and son-in-law lived with us for 4 ½ months this past year while they were waiting for their baby to arrive and before they moved to New Zealand. My son-in-law loves to cook and frequently he would do roasted beets which were so incredibly yummy. We just recently spent 5 weeks in New Zealand visiting them. I was pleasantly surprised about all the ways Kiwi’s incorporate beets into their meals. One of the ways I would have never thought of is putting slices of beets on sandwiches, and burgers. Even McDonald’s in New Zealand offers a local choice on their menu called the Kiwi Burger which is a hamburger with an egg and slices of beets on it. I loved all the ways we had beets while visiting there. We had them in our salads, we had them roasted along with other root vegetables, we had them on lamb burgers and sandwiches, and we had them as side dishes with feta and walnuts. Most of our meals included beets in some way or another. So coming home from this trip I was determined to learn more about beets and how to cook them myself and incorporate them more into my life. Since we have given up processed food and we are eating only whole, real, God-made foods now, it is fun to discover more variety and uses for the various gifts that nature provides. Keep whole peeled ready-to-eat beets on hand so you can use them anytime. Here are some options: These are good from Amazon. Trader Joes has some good ones in their salad section. I love the ones pictured below that I get from Costco. 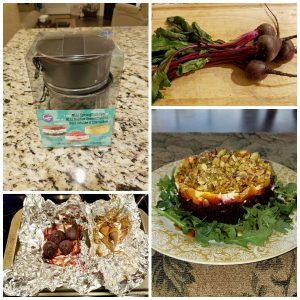 Roast your own fresh beets that you buy from a farmers market or grocery store at home by wrapping them in foil and roasting them at 400 degrees for about 40 minutes. Then wipe the skins off with a paper towel. Here is a link to a video to show you how. 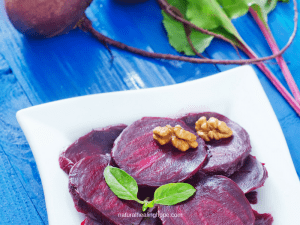 Learn how to grow your own beets, I can’t say I have done this but it is on my spring To Do list. I am eyeing a book on Amazon to learn how along with some heirloom seeds for a rainbow variety of beets. They are pictured at the bottom of this post if you are interested. Include them on sandwiches and burgers. 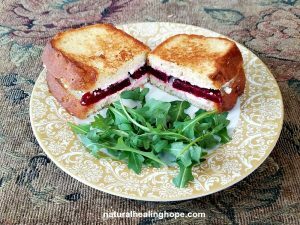 Make a grilled cheese with goat cheese and beet slices. This is my newest obsession- I make it with gluten-free bread. See picture below. Stir fry them and include as a side dish to your meal. Roast them in the oven with other root vegetables. Make a side dish with cut up beets, feta cheese, and walnuts. Make a beet smoothy. Here is a link to a Detoxifying Beet Smoothy from one of my blogging friends, Stephanie from www.naturalpaleofamily.com. Find new recipes on Pinterest to make creative dishes with beets. Here is one of my favorites: Easy Beet & Goat Cheese Salad. Cut off the stems and wrap the beet roots in foil and roast them in a 400-degree oven for 40 minutes or until tender. Wipe off the skins with a paper towel. Chop up the beets into small pieces, keeping the two colors separated. Press a layer of chopped red beets on the bottom of the springform pan. Follow with a layer of chopped golden beets on top. Mix together some goat cheese and your favorite herbs. I used dried parsley. Press a layer of the goat cheese on top of the beet layers. Before serving, chop up some pistachios, and cover the top layer. Spread arugula leaves around a small plate. Open springform pan and place the stack on top of the arugula. Drizzle olive oil and balsamic oil over the plate. The pictures above are my results. It isn’t as pretty as the one from the Barleycorn Restaurant. I could only find a tiny bundle of golden beets so I didn’t have nearly enough to do a substantial layer. However, this tasted amazing. I was a happy camper! I got to take a nice break from writing this post to enjoy this for lunch (the benefits of blogging). If you like these ideas, please pin this post to one of your favorite Pinterest Boards. What about you? Do you have any favorite recipes or ways you like to enjoy beets? Please share your ideas and links to your favorite beet recipes in the comments. Eat with the seasons to obtain the maximum nutritional benefits. This chart will help you in planning your weekly menu. Subscribe to get this, as well as access to my password protected Resource Library full of printables to help you in your natural health journey. Loved this post. I want to try these receipes especially the stack you made. Thank you. Glad to hear you want to try these recipes. They are really easy to make. Enjoy! I love beets even the golden beets with red rings!!! Especially roasted. I will try your recipe! Well, they are definitely now on my shopping list. Thanks for sharing. Love you my cousin Laura! Yay, Diana, I think you are going to like these new ideas, especially with your vegetarian diet. Love you too! Thanks for visiting my blog. I love beets and your recipe looks amazing. I’m going to have to try this one! Thanks! Thanks Trish, I’m glad you like it. Let me know what you think when you try it and if you have any other suggestions to make it better. Since you are a beet lover, do you have any favorite beet recipes you’d like to share? If you do, add a link in the comments so my readers can enjoy it as well. Great post Laura! 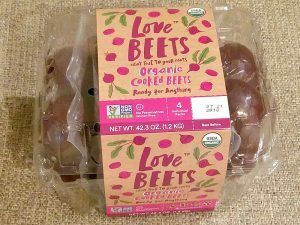 I “want” to love beets, lol! I’ve progressed from, these are gross to hmm, I can eat a little bit. 🙂 You reinforced my resolve to keep trying beets. Thank you! Thank you, Liz. I hope you will try some of these ideas. If you haven’t found a way you really like them yet, I’d try roasting them. I think roasted vegetables are the best! It makes them taste a bit sweeter, like candy. 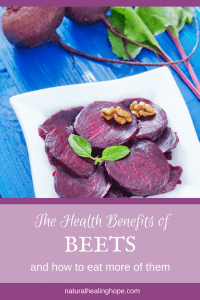 I knew beets are healthy, but I had no idea they do so much for the body. Thank you for this post and education and all the resources you offer with it. It’s great. I am sure going to grab me some beets and eat them more regularly now. Thank you so much! I know, I was just as surprised as you once I started researching the health benefits they offer. I hope you are able to try some of my ideas for incorporating them into your diet. You might just become beets obsessed like me.